It’s time that turns my tomorrows into yesterdays | Separated by a common language. Total Michael Jackson glove happening here! Ow! Totally cute. Totally awesome. Hooray! 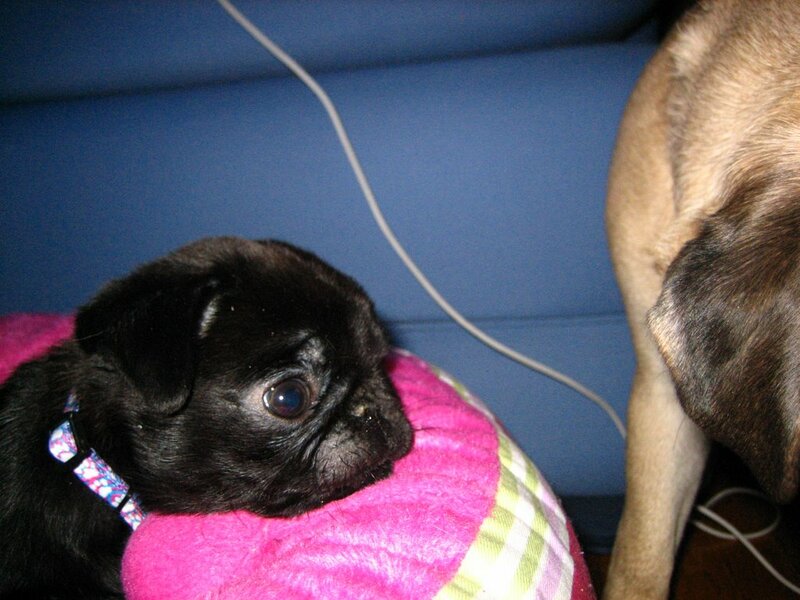 Do you guys need pug-sitters?? Camara and I are totally up for it. We, however, can’t guarantee that Winston, Zelda, Camara and I will be there when you guys return…..
Maybe I shouldn’t have told you that part. She is most adorable – awesome paw! that’s so weird. 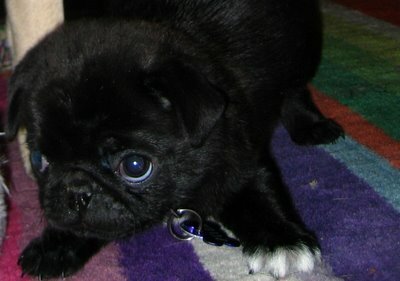 my exroomate had Bruno (a tan pug), then got Vinnie (a black pug) when he was itty bitty also. So cute. I think I love her. 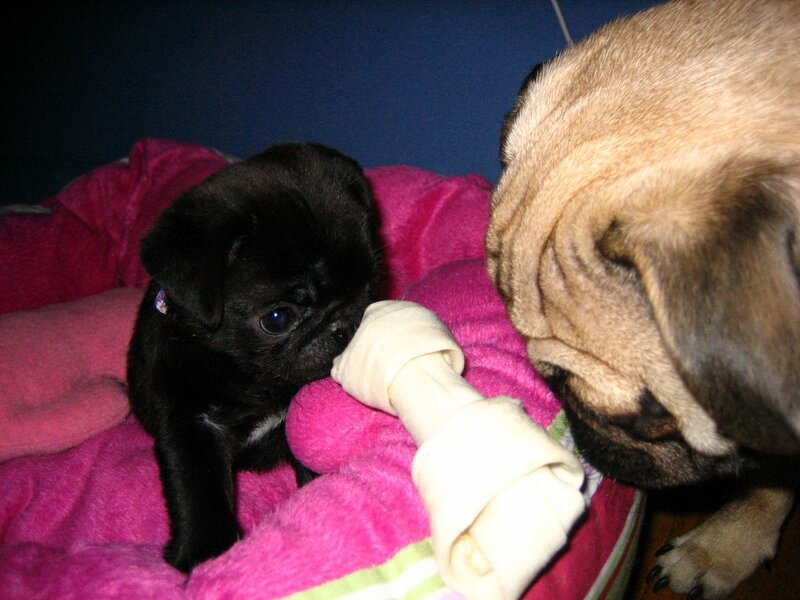 I think I may want to eat your new puppy! 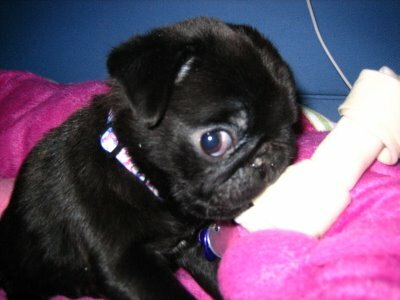 Mmmmmm, Pug.